But let’s move on to the other ‘back’. Preceded by a little explanation. The following RAPS is number 2 in a series of shrines I made for donors to the recent auctions. (Thank you shrine #1 here.) All four of them are based off the same design idea. 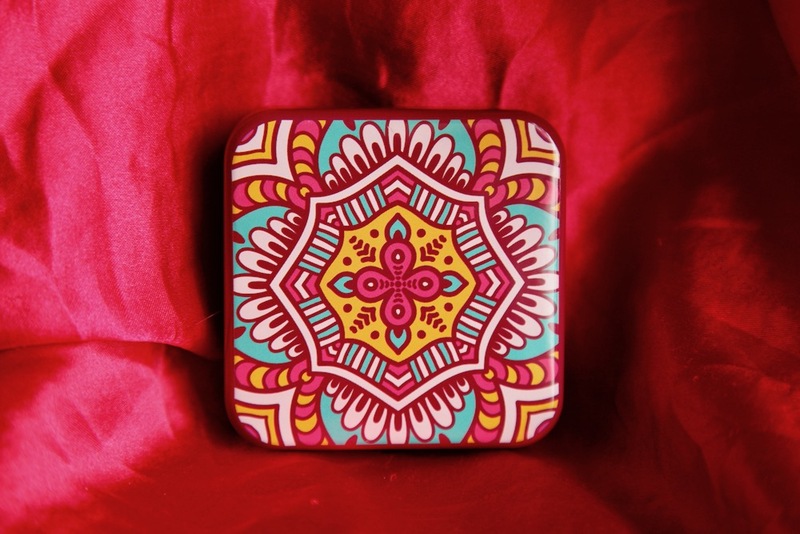 This one sits in a lovely square tin that I brought back from my holiday in Crete this summer. With a tin that nice, I had trouble matching the inside. Or did I???? Instead you are getting this. Pretty and adorable, too… Since the tin was so pretty, I didn’t have the heart to punch holes into it for the candles. So this one has the candle holder ready-attached. To the new owner: I adore you, too, for your kindness and generosity. Hope this tin gets an outing, soon! Right, and now back to the backlog of work 😕 . Wow, Good things come in small packages. Love the bling surrounding the object of our affections. Sounds like a great trip! 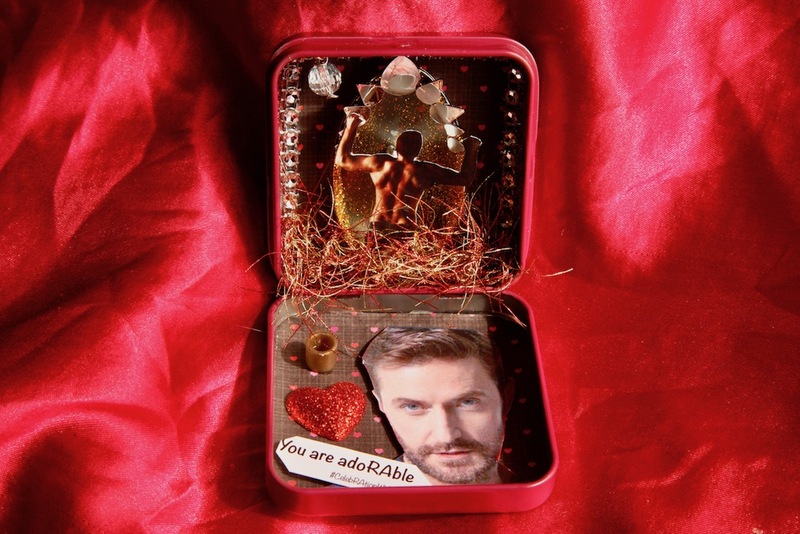 Love the shrine–gorgeous tin and insides to match. Them other boys don’t know how to act (yeah)…. Glad you had great time! I wondered if you have a date when we should expect the LLL Merchandise pack (Chris Butcher) you said on the postcard that it was coming direct from the US I know the weather has been terrible however. Oh goodness – I am sorry that it is delayed. I will look into that immediately, Yve! Just received the merchandise pack! the customs charge was a shock. However its safely here. Next time, hoping there will be a next time, perhaps we can say the value is under the limit instead of the winning auction amount, or would this be too sneeky? And yes, postage costs are ridiculously high. When I sent all the auction items off, there were a number of parcels containing only a framed autograph (and a few small, light extras) which cost 20 Euro. 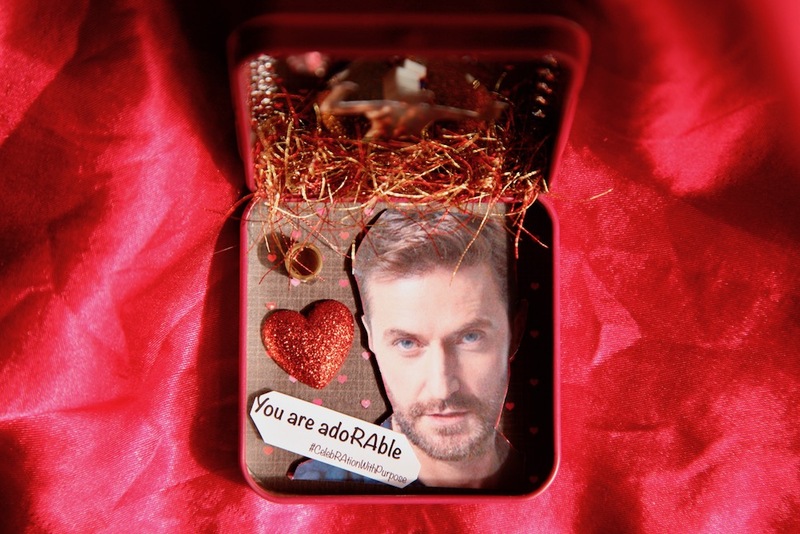 I adore you, as well, and the beautiful tin will make an LA outing.